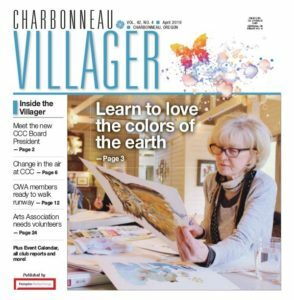 Each year, the Board of Directors of the Charbonneau Art Association selects an artist that they want to feature in their annual Art Festival (this year November 2, 3, and 4). 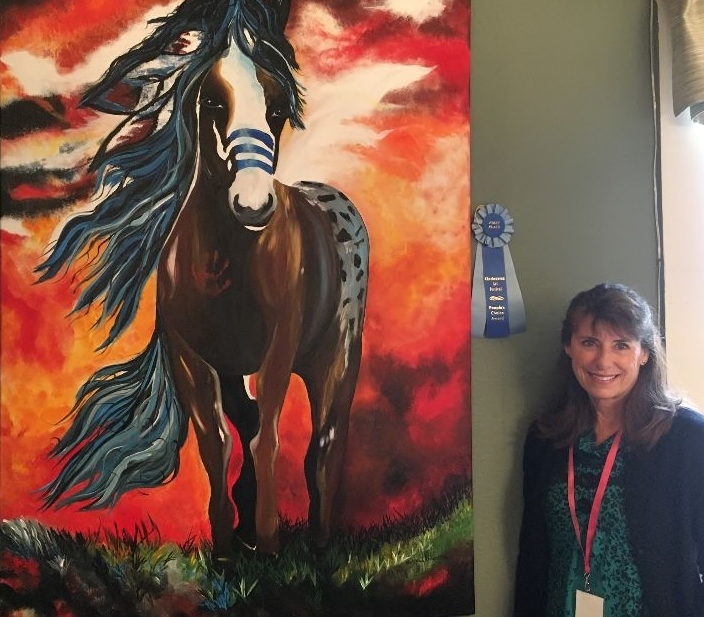 For 2018, they chose Holly Kroening, last year’s winner of the People’s Choice Award with her striking horse portrait in acrylics, “Running Reid.” All of Holly’s paintings attracted a lot of “oohs” and “aahs,” and festival goers were so impressed that they lined up to purchase cards and prints of her work, as well as one of her large originals. Since Holly made a very strong impact on the 2017 Festival, her selection as featured artist or 2018 seemed natural to the Art Association Board. describes herself as “a native Oregonian, mother, and grandmother.” In her artist profile, Holly explains that she likes her painting to “express the joy, delight, and passion I feel when I paint.” As a result, her work often exudes a feeling of freshness and spontaneity. To achieve this, Holly works in watercolor, acrylics, and fabric art. One of her mantras is “letting it go” because it brings her freedom and forms the basis of her self-expression. Holly’s art has also greatly benefited from her commitment to the Rural Health Collaborative, a Portland based project to help women in eastern Ghana. In 2008 this connection led Holly into doing Africa-themed work, and it has informed her creativity ever since, as can be seen in her dynamic compositions and flamboyant color choices. This year marks the 35th Annual Charbonneau Art Festival which will take place November 2, 3, and 4, so mark your calendars to see Holly’s work, other regional artists, student art, and the work of dozens of artisans. For more information, to volunteer, or to make comments, email erichoem@comcast.net. 2018 Sponsors of the 35th Annual Charbonneau Art Festival (as of August 10, 2018): GOLD ($500): Green Group Real Estate, Wilsonville. SILVER ($300): Lynda Huber, Equity Oregon Real Estate; Pahlisch Homes, Charbonneau; Republic Services, Wilsonville; Wilsonville Carpet & Tile. BRONZE ($150): Robert Bennett, CPA, Wilsonville; Amy Costello, Windermere Real Estate, Charbonneau; Canby Ford; Chuck Eggleston, ReMax Realty, Charbonneau; Kyle Bunch, American Family Ins., Wilsonville; Roof Masters, Canby; Jay Puppo, State Farm Ins., Wilsonville; and Dr. Michael Lorio, Town Center Dental, Wilsonville. Your patronage will help thank our sponsors.